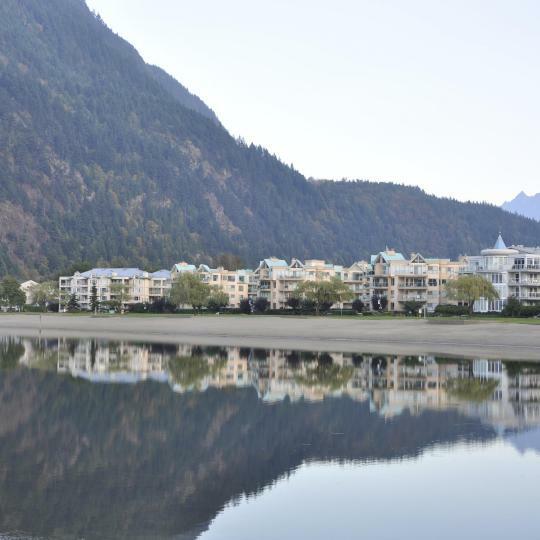 Stay in British Columbia's best hotels! Located in the financial district of Vancouver city center, Trump International Hotel & Tower Vancouver is located walking distance from shopping, fine dining, and entertainment. Beautiful modern new hotel in good position. Beds were extremely comfortable and soft. We had a suite which was gorgeous and had all amenities. Offering on-site dining and an indoor pool, this hotel is located inside of the Vancouver International Airport. Guests can the on-site spa and fitness center. The staff were very courteous, the bed was incredibly comfortable and the hotel was very clean. Just 5 minutes’ walk from Victoria ferry terminal, this hotel features an indoor pool and a hot tub. Free WiFi is provided. A free shuttle is offered to the bus depot and Clipper Ferry. Absolutely everything. The suites were so big, very comfortable bed and furnishings. Wonderful stay! 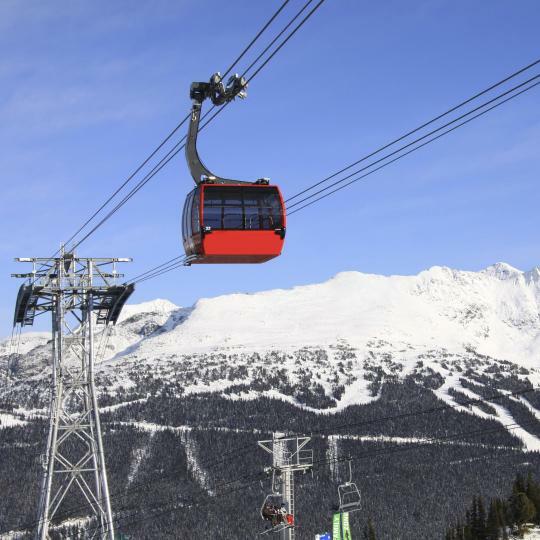 Located 10 minutes’ walk from Blackcomb Excalibur Gondola, this Whistler hotel features suites furnished with kitchenettes. An outdoor pool and a hot tub are available on site. Free WiFi is included. First time visit to Whistler and our time at Summit Lodge was excellent. The staff were great, very friendly and incredibly helpful. Rooms were spacious, comfortable, and very welcoming. A perfect place to return to after a day of hiking or other outdoor activity. Even as a pet friendly hotel, it was immaculate. Would definitely stay here again. Featuring two on-site restaurants and a bar, this locally-owned boutique hotel offers a complimentary breakfast with items such as omelets, bacon and sausage. Free WiFi is provided in all guest rooms.... Friendly staff!! Helped with everything needed. Nice rooms, super location. Very recommended. Featuring an indoor pool and hot tub, this Victoria hotel is just 3 minutes’ walk from the Victoria Clipper Ferry Terminal and Coho Ferry Terminal. Amazing view of Victoria harbour. Located within 656 feet of Waterfront Center Mall Vancouver and Vancouver Lookout at Harbor Center, EXchange Hotel Vancouver features rooms with air conditioning. Free WiFi is available. The staff are what made the experience even better. They were friendly and always willing to help you. The room was beautiful, clean and absolutely perfect for the two of us. Located in Prince George, 12 mi from Tabor Mountain T-Bar, Courtyard by Marriott Prince George features an outdoor terrace with a fire pit as well as free WiFi. Clean, new facilities, friendly staff, good location. Located in Kamloops within 1.5 miles of Thompson Rivers University and 6 miles of BIG Little Science Centre Kamloops, Wingate by Wyndham Kamloops provides rooms with free WiFi. Fantastic property , very helpful staff. would definately come back and recomend friends and family. Everybody decided to show up for breakfast at the last minute and the staff (Kathy and Debbie) kept bringing food out with a smile on there face. Thank you very much . You can tell that the owner take great pride in running this property. Offering a hot tub and sauna, Comfort Inn & Suites is located in Terrace. Free private parking is available on site. Every room is equipped with a TV. Every room includes a private bathroom. We felt very welcome here, including our small dog. Lots of choices at breakfast, very good coffee. Holiday Inn Express & Suites Victoria-Colwood offers accommodations in Langford. All air-conditioned rooms feature a flat-screen TV with cable channels. Nice suite, excellent breakfast. Fairfield Inn & Suites by Marriott Kamloops offers accommodations in Kamloops. The hotel has a terrace and fitness center, and guests can enjoy a drink at the snack bar. the whole place was very nice and friendly. The staff went out of their way to be helpful. The Northern Grand Hotel is located in the heart of Fort St. John and offers guests a daily complimentary breakfast and an on-site restaurant. So clean and up to date! Big bathrooms, and so nice to our dog! Located in the heart of Victoria and across from the Inner Harbor, this property offers old Victorian décor, an on-site bar/lounge and a billiards room. Rooms feature a flat-screen cable TV. Great staff. Delicious hearty break fast. Location superb. Like having a home in the city. Located 1.2 mi from Revelstoke town center, this hotel offers a hot tub and a seasonal outdoor pool, as well as an on-site convenience and liquor store. It has spacious rooms with free WiFi. Kelsey at front desk was very helpful !!!! This elegant Courtenay, British Columbia hotel features an outdoor swimming pool and fitness center. Free Wi-Fi in provided in all modern rooms. Locals Restaurants is also located on the property. Fabulous place to stay .. everything is great including the spa. This Sicamous, BC hotel is within 1 hours’ drive of Shuswap Lake and Enchanted Forest. It features an indoor pool and a daily continental breakfast. Guest rooms include free Wi-Fi. The fresh fruit at breakfast was a treat. I had plums...yum. Offering an indoor pool, hot tub, and sauna, this inn is located across the street from sandy Qualicum Beach on Vancouver Island. It features an on-site restaurant and free Wi-Fi. Wonderful property, beautiful ocean view restaurant with great staff and great food. Located 2461 feet from Victoria Golf Club, Oak Bay Beach Hotel features an on-site spa. Free underground parking is available for all guests. All spacious rooms offer a balcony or deck. Fantastic resort tucked away from the hustle and bustle. Beautiful view of the bay. This hotel features Repose Massage Therapy and Day Spa, and warmly-decorated rooms with free Wi-Fi. It is 0.6 mi from Revelstoke Airport and 2.5 mi from Revelstoke Railway Museum. Love the Hillcrest hotel. Everything is wonderful and we had a good time staying at the hotel. Across from Mount Brenton Golf Course and half a mile from the Strait of Georgia, this hotel features an indoor pool, hot tub and gym. Guests can enjoy massages on site. This hotel is new and modern, well appointed and clean. Featuring a restaurant, indoor pool and hot tubs, this Fernie hotel is located 4 miles from Fernie Alpine Ski Resort. Guest rooms offer flat-screen cable TVs. Free WiFi is provided in each room. The location in Fernie is good.....bed and pillows are comfortable. This Abbotsford hotel is 4 miles from the Abbotsford International Airport. The hotel offers suites with free Wi-Fi and flat-screen TVs. The front desk people were very friendly and helpful. Maximise your time on the slopes by using this sprawling resort’s Peak 2 Peak Gondola to traverse the generously powdered mountains. 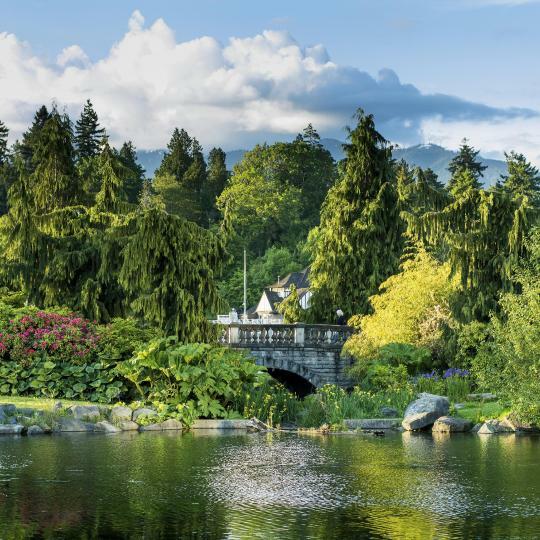 Winding forest trails, sprawling gardens, 3 beaches and the Vancouver Aquarium make up Stanley Park bordering Vancouver city centre. 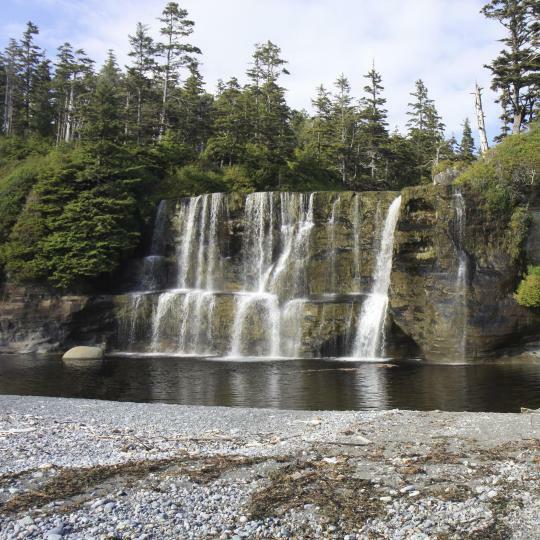 Trek through 75 kilometres of Pacific Rim National Park’s verdant rainforests and sandy beaches on the West Coast Trail. 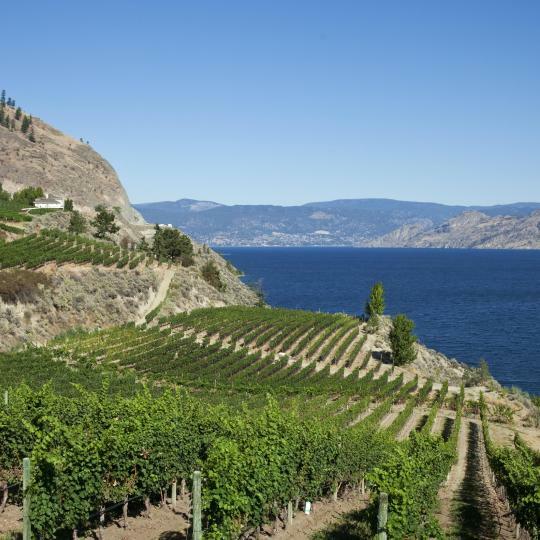 Hundreds of wineries are nestled among the lakes and mountains in the Okanagan Valley, making it ripe for a wine-country excursion. 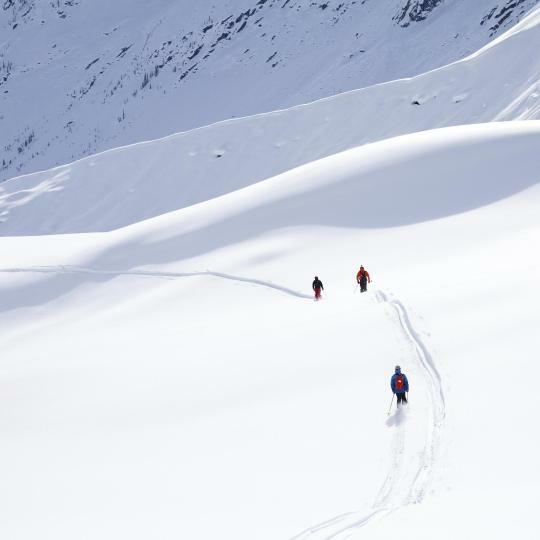 Three separate mountains and a European-style ski-through village make this Rocky Mountain ski resort one of British Columbia’s most diverse. Feel the intensity of the roaring Kicking Horse River and Wapta Falls as they carve through Yoho National Park’s rugged landscape. Multiple stage theatres, artisan shops, and the famous Public Market make Vancouver’s Granville Island the place to be. 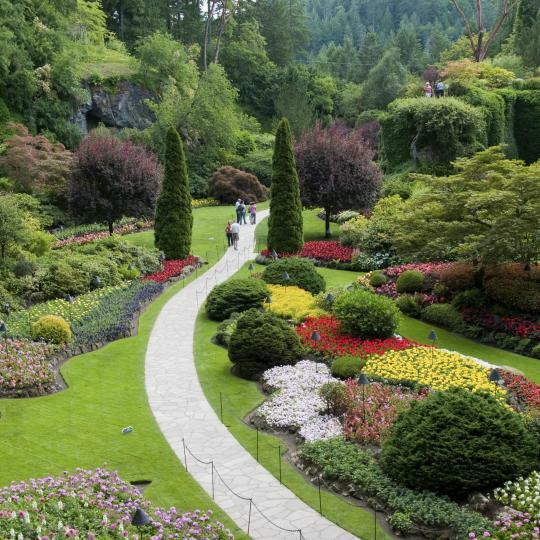 Victoria’s Butchart Gardens is made up of unique the themed patches, from the Rose Garden to the Japanese Garden. 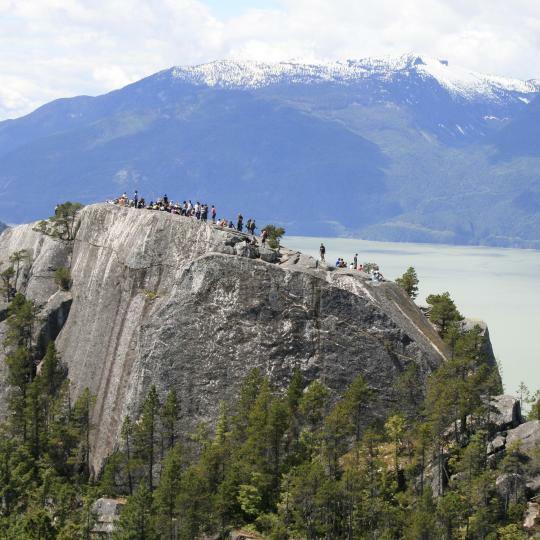 Stawamus Chief’s scenic trails offer the chance to see panoramic views of Squamish, Howe Sound, and the Sea-to-Sky region. The rejuvenating thermal springs in tranquil Harrison Hot Springs beckon you for some quality rest and relaxation. Spectacular natural setting and great parks. Spectacular natural setting and great parks. No end to marvelous restaurants. Animated cosmopolitan population with a distinctive Asian flavor. The anthropological museum on the University of British Columbia is a unique treasure trove of NW Native American art. We enjoyed visiting the University of British Columbia Anthropology Museum. It was excellent. Grandville Island was lots of fun with the wonderful big market and lots of shopping. Being located close to Stanley Park was great for walking our dog. Also close to lots of restaurants. We loved walking along the waterfront, visiting the Royal British Columbia Museum, walking in Beacon Hill Park, having dinner at Steamship Grill and Bar at sunset. Vancouver is a wonderful city. Vancouver is a wonderful city. The weather was great except for one rainy day. It is a very green city and is socially conscious. All kinds of people are welcome. There is much to see and do (Vanier Park has 3 museums, there are other museums easily accessible) and the public transportation is excellent. We walked to much, took the ferry to several places, and went to many attractions using the hop-on, hop-off bus. I had thought the Fly Over Canada would be cheesy, but it turned out to be one of the highlights of the trip, very well done. The Museum of Vancouver, the Maritime Museum, the Space Centre and the Aquarium were also very well done and informative. We were not impressed with the food in other parts of British Columbia, but all the meals we ate in Vancouver were very good. The people are friendly and helpful. We're considering moving there. Vancouver is our favorite city in the Northwest to visit. Vancouver is our favorite city in the Northwest to visit. Granville Island is beyond comparison, with the great food, public market, shops, museums, and the False Creek Ferry. Also be sure to include the Museum of Anthropology at the University of British Columbia. It is just outstanding, the true center of all things native. Very nice small town with plenty of restaurants and stores. Very nice small town with plenty of restaurants and stores. It was a nice, quiet location to stay and then be able to conveniently visit several national parks. British Columbia is too beautiful for words. We were visiting at a particularly difficult time for Kamloops. Because of forest fires, Kamloops was looking after over 10,000 people evacuated from their towns as fires moved closer. The city seemed to be well organized fo this, and although there were tent villages in many places many more were welcomed into homes. The city is friendly. Kamloops is in semi desert hill country with forests in the uplands. It's at the confluence of two placid rivers, with island parks and easy boating. 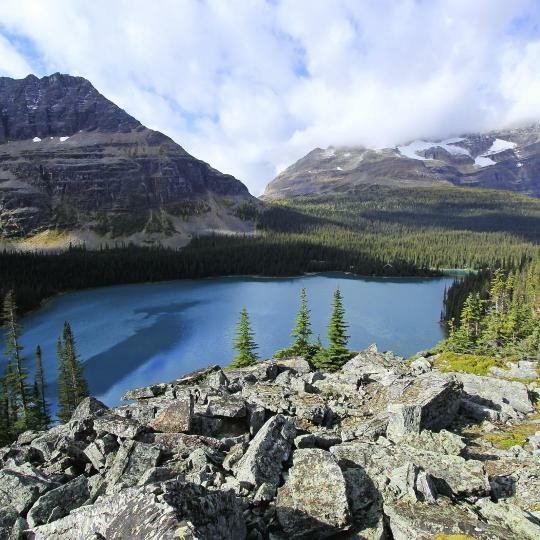 It's in central British Columbia and is well located for day visits to the surrounding highlands for canoeing, hiking and fishing. Victoria is a beautiful city right on the water. Victoria is a beautiful city right on the water. Although small it has everything a larger city can offer and the bonus of being very easy to get around. The city takes pride in its gardens and its 1600 hanging baskets which adorn nearly every building downtown. There are water taxis as well as ferries and buses to help you access the city suburbs, plenty of options for getting around. The waterfront is buzzing with action, people from around the world, buskers, artists and musicians entertain you as you walk along the promenade. History is displayed proudly and was great to share. The museum is spectacular and well worth a visit as is the stunning Butchart Gardens, a little way out of town. 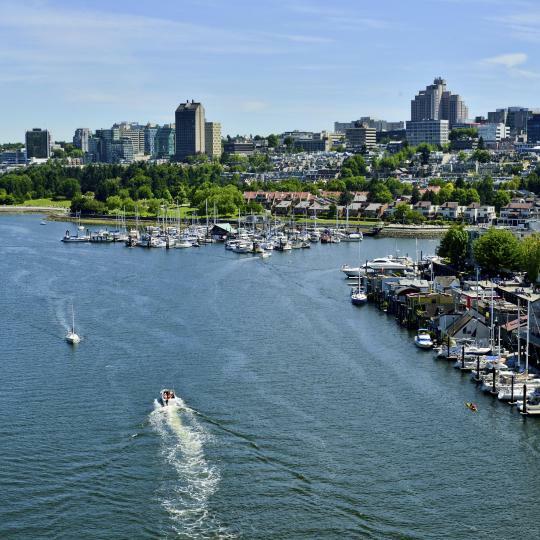 Victoria is the jewel in British Columbia's crown. Beautiful city with many things to see and do. Beautiful city with many things to see and do. The city mingles old world charm and modern for every taste. Victoria's harbor is alive with water taxis, motor boats and sailboats. Horse-drawn carriages and pedi-cabs add to the charm. The charming Parliament Building and the elegant Empress Hotel guard the harbor. There are many shops, and many restaurants with excellent food. Buchart Gardens is nearby and the Royal British Columbia Museum is first-rate. We loved the suspension bridge and treetop walks at Capouano. We loved the suspension bridge and treetop walks at Capouano. We loved the Granville market and all the artists and galleries that surround it and we loved the University of British Columbia's Museum of Anthropology. They have a spectacular exhibit of Northwest Pacific Indian art plus rooms of art from other indigenous peoples. If this kind of museum is your thing, take bus 44 from Robeson and Burrard Street in downtown Vancouver. Allow a half a day to see this as it is fairly far from downtown and the exhibits are extensive. My last hint - go to the Cactus c Club cCafé and order the yummy Szechuan lettuce wraps! Christian, the owner was lovely, friendly and helpful. The decor is beautiful and it feels like home. Easy to park outside. Breakfast very good. It was nice to chat with the other guests over breakfast. I was so glad we didn't opt for a bland motel. Very good value for money. The town of Hope isn't very exciting but is a great base for exploring this part of British Columbia - Hell's Gate is very interesting. The Evergreen provides a perfect overnight stop. This is a very comfortable place to stay in Nanaimo, British Columbia. Very clean and neat. Easy to find with a great view. The proprietress, Darlene, is a jewel! If we need only one reason to return to Island View B&B that reason would be Darlene. We had a good breakfast and some great conversation. Easy to become acquainted with fellow guests. We met some nice folks from England and Singapore. The location is rather unique. It’s on campus at the University of British Columbia, and for us, within walking distance of University Hospital, where our son was having surgery. There is no other hotel accommodations for several kilometres. There’s no food or beverage service available within the property, but many options on campus. Excellent location, staff, and room. Wwe could walk to Stanley Park, English Beach, the Vancouver Aquarium, and Granville Island. There were many good restaurants nearby. The staff was very friendly, helpful, and prepared spectacular breakfasts. We would love to return and will plan so on our next visit to British Columbia. Staff was friendly and helpful. Directed us to local visitor center where we got maps/info on British Columbia and Yukon Territory. Also directed us to excellent dining in close proximity to hotel. Great location, on University of British Columbia's campus. I love our spa bungalow it is spacious for 4 of us with nice patio facing the forest. The room kitchenette was so complete with all the utensils and appliances. The grotto was spectacular. Cedars restaurant food was great. Private beach was enjoyed by my daughter making sand castle. It was a lovely place to stay so worth of the money. Fantastic resort tucked away from the hustle and bustle. Beautiful view of the bay. Rooms are exquisitely furnished. Showers are the most powerful I've ever had! Staff are exceedingly friendly. I loved the hotel and won't hesitate to go back. Hiking trails, quiet, and how cozy it feels. The views of the mountains are also so refreshing and gorgeous. The food was delicious. The staff made us feel welcomed and were quick to help us if we needed anything. Ocean view was incredible, location on the beach was amazing. Huge amount of space in 1 bedroom suite. Kitchenette was very well equipped. Indoor pool was lovely. Knowledgeable staff, great restaurant on site. This hotel is one block from Stanley Park, and on English Bay. Great location. Helpful staffs. Clean room. Good location.